You will hopefully clear your head here and uncover your creative mind. In a step-by-step manner you will learn how to design your own T-shirts by using your own designs or ones that already exist or ones that already exist elsewhere. There are no guidelines or restrictions when it comes to the designs for this task. Therefore feel free to experiment and dare to take a risk. -Place your designs in a plastic sleeve. This will prevent the paper from sticking within the T-shirt later on. Tracing: place the white sheet of paper above the picture. Then use a pen or sharpie in order to trace over the picture itself. This copy can then be used for the following steps. 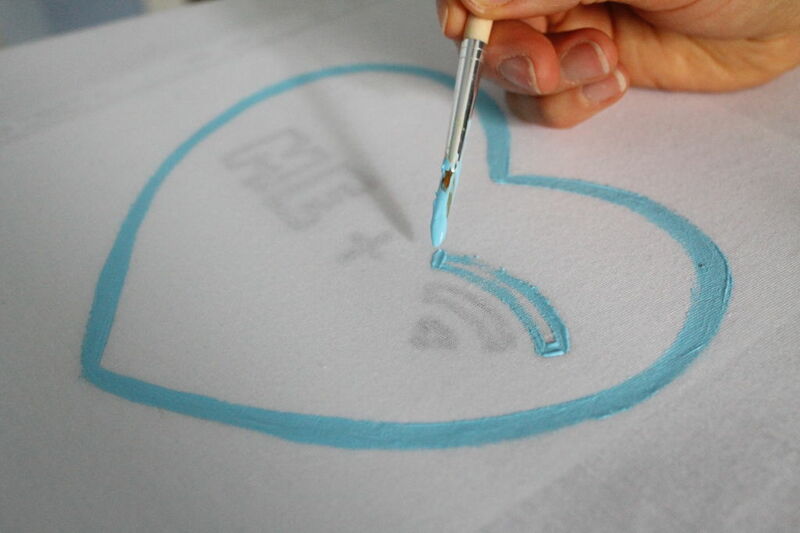 Own Design: You can either draw it on a separate sheet of paper as well or paint on the t-shirt right away. In case you would like the T-shirt to be a little more extravagant or you would like to challenge yourself, by sewing sequins onto the T-shirt. I hope you enjoyed this pictorial tutorial and were able to follow all of the steps with ease! The images in this step are the designs I used for the first part of this Instructable.